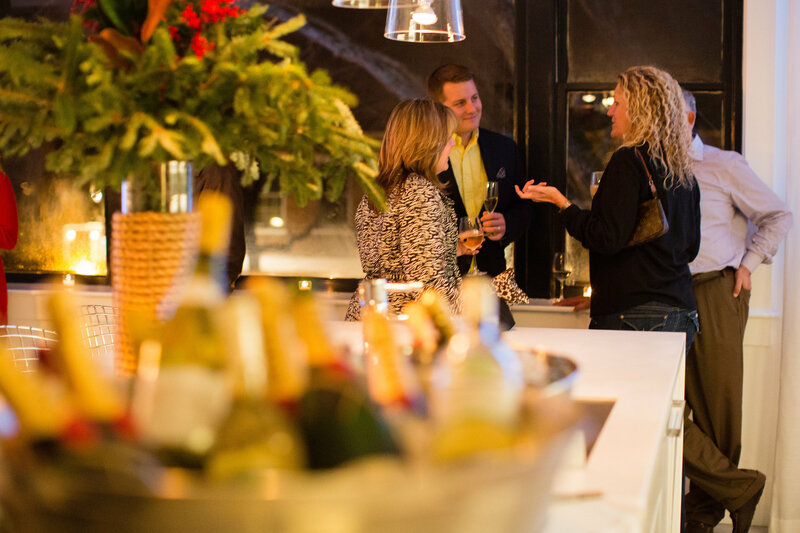 The holiday season is full of warmth and charm on Nantucket, with quaint, cobblestoned Main Street at perhaps its most magical, and the newly opened White Elephant Loft at 32 Main Street offers an ideal venue for hosting a Nantucket yuletide gathering. 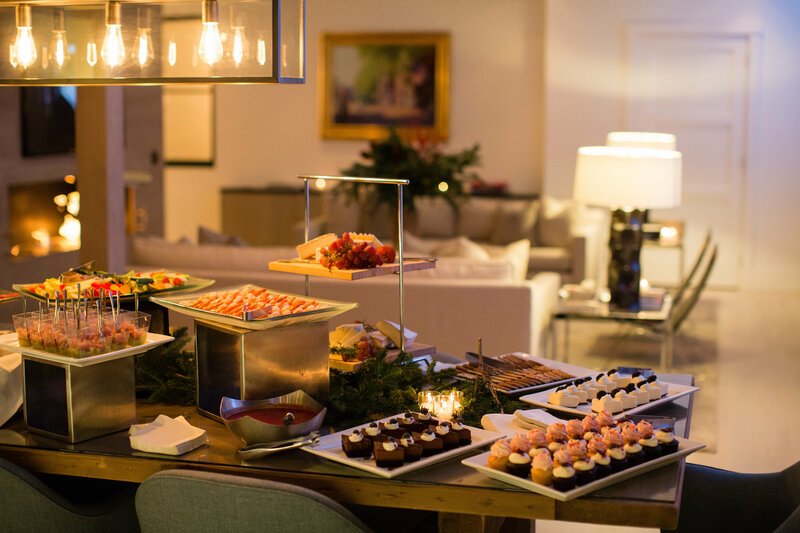 White Elephant teamed up with talented event designer David Handy, of David M. Handy Events, to welcome friends for a cup of cheer and some holiday treats while taking in the very merry view of a tree-lit Main Street from the loft's over-sized windows. 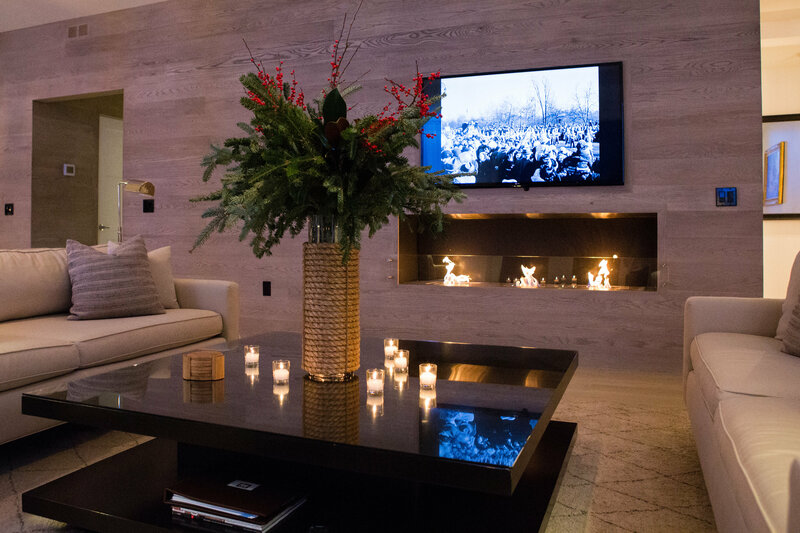 David created a holiday décor both beautiful and simple, to keep in tune with the very sleek and modern feel of the loft. Tall, rustic floral arrangements of pine boughs, magnolia leaves and sprigs of holly were a lovely compliment to the loft's clean angles and high ceilings. Small votive candles gave a warm glow, while a classic holiday film in black and white (playing on silent) added to the comfortable ambiance. 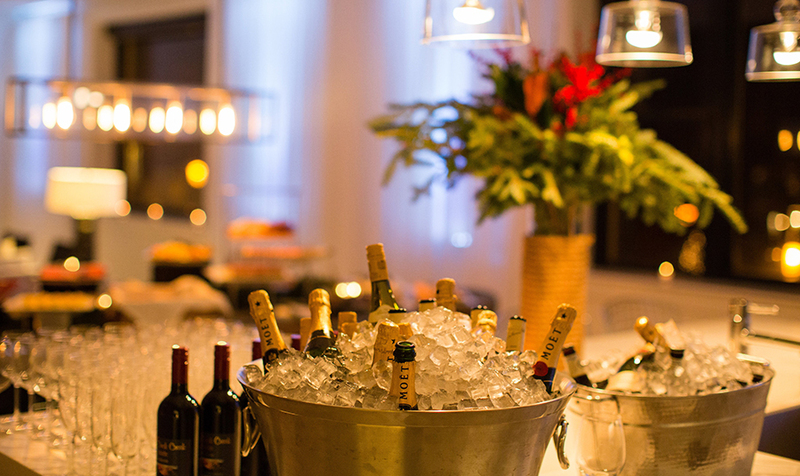 Brant Point Grill catered the delicious spread of festive bites with tuna tartare and avocado, truffle deviled eggs, poached shrimp, a bountiful charcuterie, and fresh crudité. Sweet treats of cupcakes and mini cheesecake slices were also a hit. 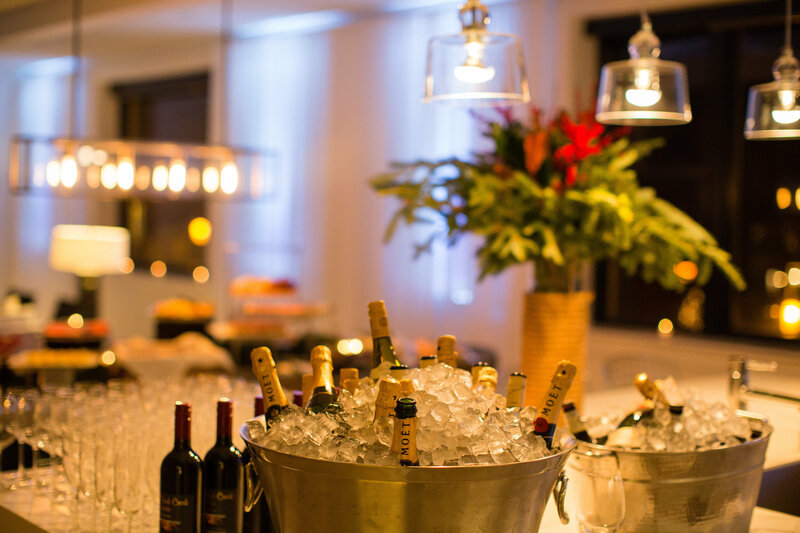 The spacious kitchen island served as the evening's champagne bar, with plenty of room for guests to gather and share season's greetings! 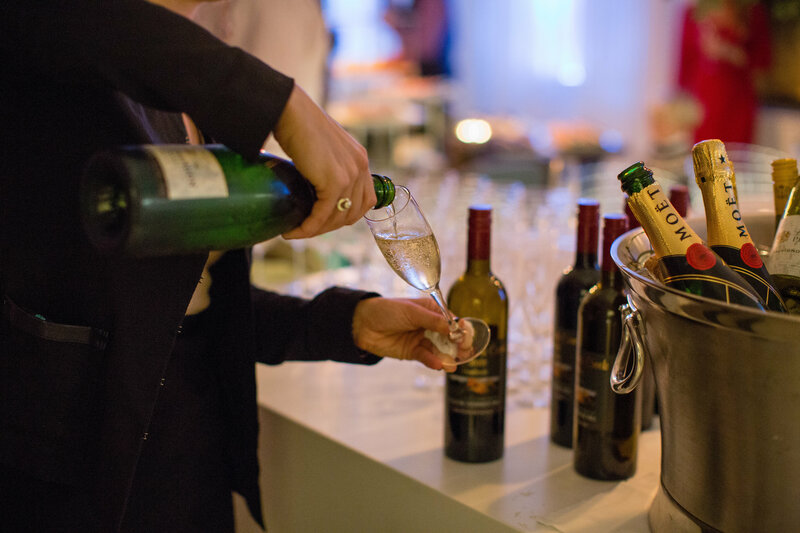 A special thanks to Runaway Bride Photography for capturing this wonderful holiday celebration!